Members get a 10% discount on the first two full price places of the lodge. Members do not get a discount on the £50 child places. Single occupancy or disabled guests attending with a carer are entitled to a 30% discount on the full-paying price of two guests. This must be booked over the telephone (0344 225 1826) or via our website. This discount is not valid alongside any other discount or voucher (e.g. Members or Patrons discount). Can I use Tesco Clubcard Vouchers to pay for Gir Lion Lodge? Tesco vouchers are only accepted for general admission tickets (excluding car entry) when purchased on the day of your visit at the main gate. They cannot be used as payment for Gir Lion Lodge or any other ZSL experiences. Can I spend the day in the zoo before/after my Gir Lion Lodge stay? You can enter ZSL London Zoo anytime from 10am on the day of your experience and stay for the full day after. You are also welcome to visit to ZSL Whipsnade Zoo for free on the day of departure from Gir Lion Lodge (car entry is not included at ZSL Whipsnade Zoo). Is there somewhere we can store our luggage during the day (arrival and/or departure day)? Yes, we can safely store your bags for you at no extra cost. Further details can be found within the Guest Information Pack which you’ll receive once booked. On family nights children aged 5 - 13 years old are welcome to attend. Children under 5 years old are not able to attend on any night. Each lodge can accommodate 2 adults or 1 adult and 1 child, plus a maximum of 2 additional children. The accessible lodge can accommodate 2 adults or 1 adult and 1 child, plus a maximum of 1 additional child. The additional children will sleep on a pull-out sofa bed and must be aged between 5 and 13 years of age. Children aged 5-13 years old must be staying in a lodge with an accompanying adult who is aged over 18 years old. What is in each lodge? Staying overnight at Gir Lion Lodge is an informal and relaxed experience so there is no need to dress up. We would recommend wearing comfortable warm clothing, suitable for the forecasted weather (perhaps even an extra layer for the night time torchlight tour) and sensible flat footwear is recommended. You will be provided with a torch for the torchlight tour. Each of the lodges has en-suite facilities, with a shower. Towels and basic toiletries are provided in the lodges. We have a fully accessible lodge (twin beds) which has a walk-in shower and more spacious bathroom facilities, please let us know if you would prefer this lodge for comfort reasons. You are more than welcome to bring a birthday cake with you; however you are not allowed to use candles in your lodge. Please give the cake to your hosts when you check in, and we can bring it over dinner. Is Gir Lion Lodge wheelchair accessible? Yes, Gir Lion Lodge has a lodge which is fully-accessible for wheelchairs. This lodge has two twin beds and an accessible en-suite with shower. I can accommodate a maximum of 2 adults ( or 1 adult and 1 child) and 1 additional child, due to the size of the sofabed. Wheelchair users are able to bring along a carer and will receive a 30% discount on the full price of a lodge. Please call us on 0344 225 1826 to advise us of your requirements. Yes, we welcome guests with additional needs. Do let us know if you are planning on bringing along a guest with additional needs by phoning 0344 225 1826 and we will do all we can to ensure that their needs are met wherever possible. 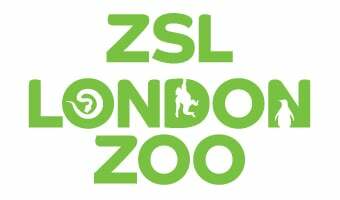 You can arrive at ZSL London Zoo anytime from 10am on your day of arrival. Guests can check into their lodges anytime between 4.30pm – 6pm (4-6pm during winter). The first tour begins at 6pm so we ask that all guests arrive before 6pm. If you arrive between 4.30pm – 6pm, guests are welcome to relax in their lodge or have a complimentary glass of prosecco whilst they explore Land of the Lions. Yes. Car parking within the ZSL London Zoo main visitor car park is included. Please ensure you bring along your confirmation to show the kiosk at the car park. Can children under 5 come along? Unfortunately children under 5 are not allowed to attend on any nights. Children aged 5 – 13 years old are only allowed to attend on family friendly nights. Can I book a birthday cake, bottle of champagne or additional child’s ticket? To book these extras please phone our Supporter services team on 0344 225 1826. These items need to be added at least 2 weeks before your experience. Can guests visit ZSL Whipsnade Zoo on the day of departure? Yes, guests can visit ZSL Whipsnade Zoo on day of departure only (not day of arrival). They need to take their Gir Lion Lodge confirmation and show this at the main gate. Car entry is not included in the price, but car parking is complimentary at ZSL Whipsnade Zoo. Yes we can cater for vegetarians, vegans and a variety of allergies. We recommend notifying ZSL via email to experienceenquries@zsl.org at least 2 weeks before the experience. Alternatively you can ring 0344 225 1826. Yes, we cater for Halal diets. Please note this on your booking for our catering staff. The experience and itinerary is the same, some adults prefer to attend without children present. The content of the talks will be tailored to whether there are children present. Can Gir Lion Lodge guests do Keeper for a Day? Guests are welcome to book all lodges out exclusively and they are entitled to a 5% discount of all lodge places. There is no discount on the children places. If groups are not booking out the lodges exclusively, the maximum number of lodges that they can book on one night is 5 lodges. This discount is not valid alongside any other discount or voucher (e.g. Members or Patrons discount). Yes, free Wi-Fi can be accessed from within your lodge. We do offer Meet the animals experiences. Please see http://www.zsl.org/meet-the-animals for more details. Gir Lion Lodge guests are entitled to a 15% discount on all Meet the Animals experiences at either ZSL London Zoo or ZSL Whipsnade Zoo. This discount is not valid alongside any other discount or voucher (e.g. Members or Patrons discount). The Meet the Animals experience must be booked for the day or arrival or day of departure from Gir Lion Lodge. Each Meet the Animals experience have different participation restrictions, please see zsl.org/shopping-terms for full details. Yes. Gir Lion Lodge is fully hosted. Your experienced hosts will take you on tours of the zoo, join you for dinner, organize activities for children and ensure that everyone has an amazing experience. Please email us at experienceenquires@zsl.org or call 0344 225 1826.